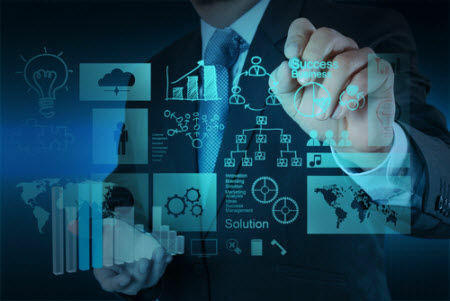 Business intelligence (BI) is the set of techniques and tools for the transformation of raw data into meaningful and useful information for business analysis purposes. BI technologies are capable of handling large amounts of unstructured data to help identify, develop and otherwise create new strategic business opportunities. The goal of BI is to allow for the easy interpretation of these large volumes of data. Identifying new opportunities and implementing an effective strategy based on insights can provide businesses with a competitive market advantage and long-term stability. At Softbase, we specialize in the BI stack utilizing Microsoft SQL Server, Microsoft Report Server, Microsoft Integration Server and Microsoft Analytical Server.